Yoganandha is no more amongst us. Our hearts go out to this brave child who endured so much pain and fought so hard for his life. The bone marrow transplant was performed and his father was the donor. It was a 100% match. The stem cells did not regrow after the transplant. He developed multiple infections and the blood infections increased. Unfortunately, his body was unable to take the stress. Your timely support ensured that he received the best medical care. The family is grateful for all the care and support you’ve shown to Yoganandha.We hope they find strength in this time of grief. All the pending bills of Yogananda have been cleared at the hospital. 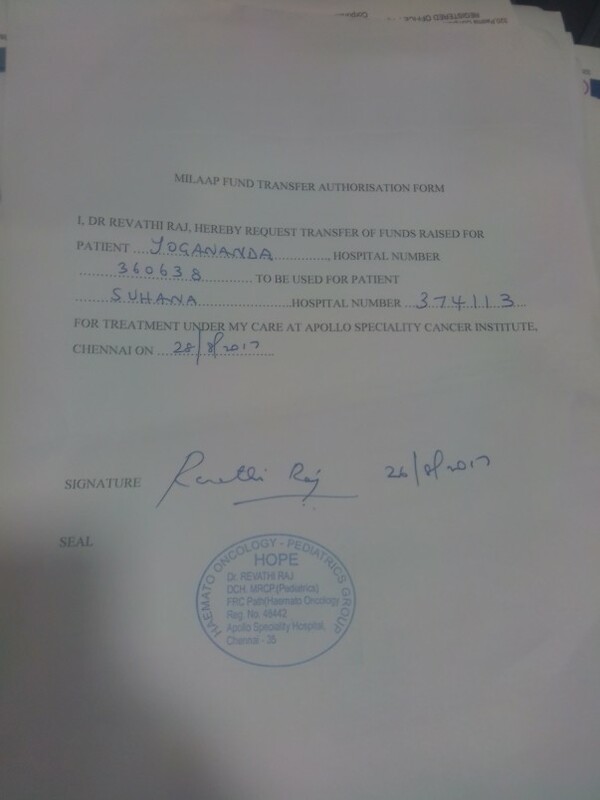 The hospital team at Apollo has identified another child, Suhana Ahmed, who is in need of funds to undergo a BMT. 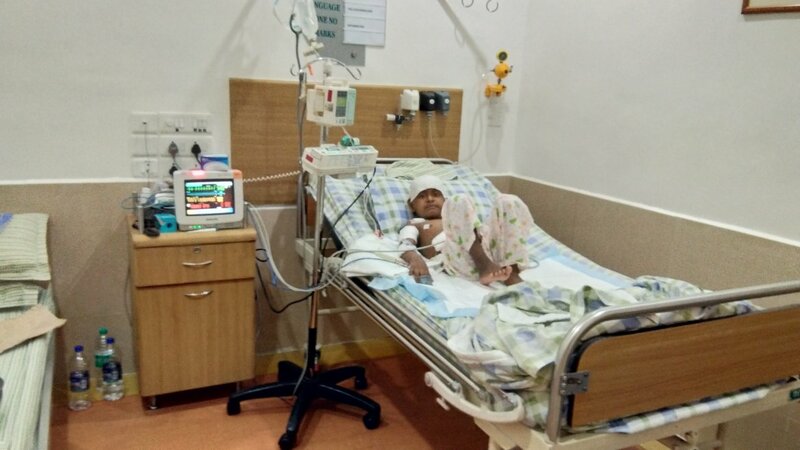 We request you to write to us if you have any concerns within 7 days, post which we will transfer the funds to Suhana's campaign to help her with the treatment. We have some news to share with you today. Yoganandha's health is slowly improving, his temperature and blood rate have reduced which was extremely high earlier. He is able to eat now but the quantity is very little. The second bone marrow transplant was performed and the reports have come today. The reports indicate that the transplant was not a success. The family is looking for alternatives. We will keep you posted on the same. Please do keep him in your prayers. Thank you once again for all the love and support. The boy is in High fever condition and heart rate is in very high and he could not eat sufficient food and water because he no want any food like is in high fever conditions so please donate and help for yoganandha.